The Dutch Golden Age in Holland (the Netherlands and Belgium). 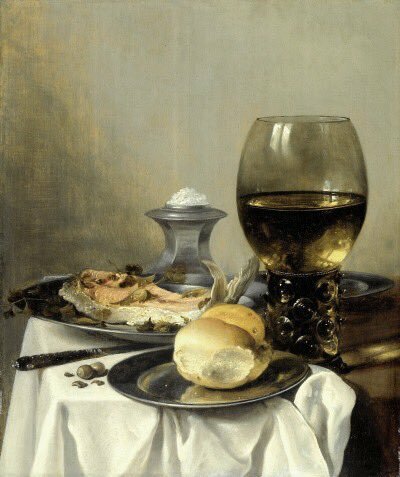 Pieter Claesz, aka Pieter Claesz van Haarlem, (born 1597, Burgsteinfurt, bishopric of Münster (now Steinfurt, Germany)—died January 1, 1661, Haarlem, Netherlands), was one of the most prolific Dutch painters in hyper-realistic 17th century still-life and vanitas paintings during the economic boom and creative genius of the Dutch Golden Age of Art. 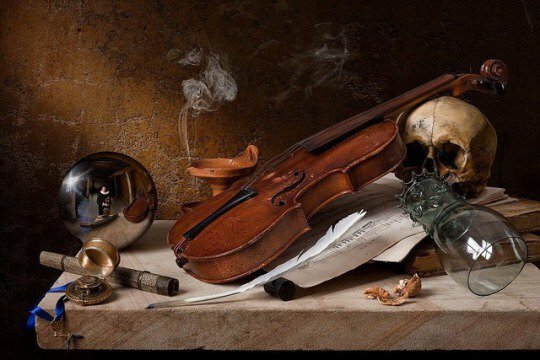 His work was fastidious and precise but possessed an almost spiritual light in the subtle chiaroscuro of shadow and candle flame or golden rays from an open window caressing silver platters and bowls of fruit, nuts, seafood, cheese, game, and wines of lavish table settings. The first art I really truly fell in love with was Flemish still life when I attended the exhibition in Boston in 1993: The Age of Rubens. Learn more about the Dutch Golden Age in Art before you tour your next museum… their treasures are scattered all over the earth, especially in Europe and in the United States. 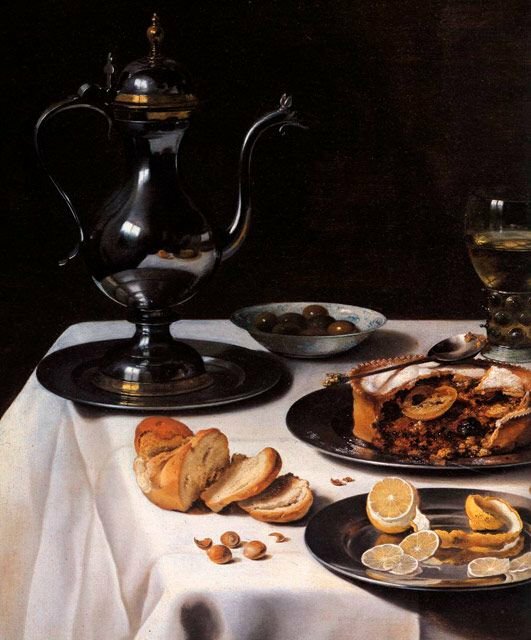 The Dutch are famous for still-life paintings. 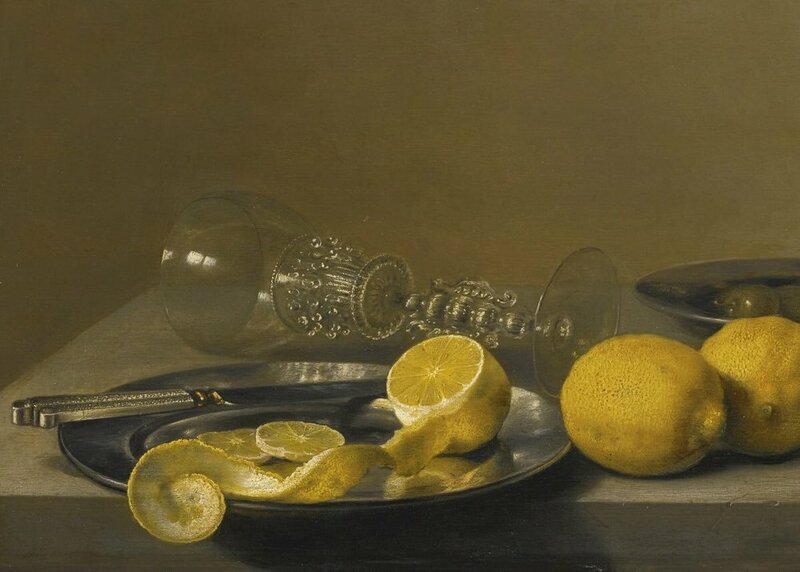 These began with sober arrangements of objects chosen to remind viewers of the brevity of life, as can be seen in the early works of the pioneer Pieter Claesz. Later artists went on to paint sumptuous compositions of expensive objects that reflect the confidence and pride of the Golden Age. 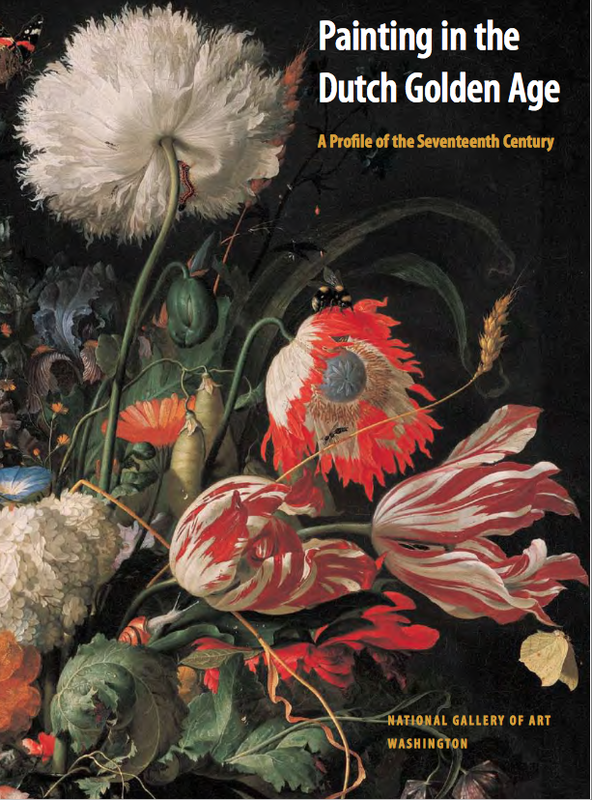 Click for the Yale Series on the Dutch Golden Age. Painters in the Dutch Republic in the 17th century pushed the possibilities of art far beyond previous limits. They observed the visible world closely and mastered techniques for representing it. They found new meanings in old stories—mythical, historical, and biblical—and staged and restaged scenes from the everyday human comedy. In fall 2015 and spring 2016, John Walsh and other scholars present a series of lectures that offer views on Dutch art of the Golden Age.